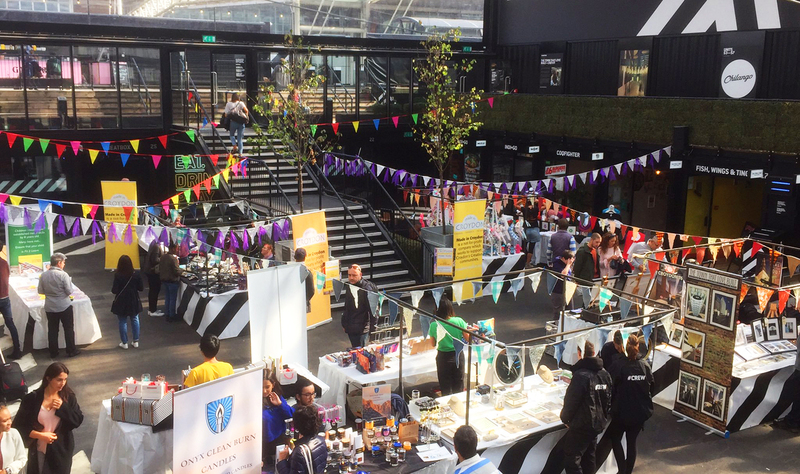 Croydon’s creative community is thriving, and many local organisations are putting on awesome events for our enjoyment. Most weekends (and weekdays too) we’re spoilt for choice on events to attend, whether it be a maker’s market at Boxpark, a theatre show in the shopping centre, an exhibition opening, some live music at The Oval, or a spot of drawing at the new Art Club Croydon (and that’s just a small slice of the cool stuff going on). Made in Croydon is one such organisation who has been grafting hard for our creative community in the last few years. They connect artists, designers and makers who are either from our borough, work here or create works inspired by the place. They run markets, socials, workshops and classes for all levels of creatives from professionals to hobbyists and all those in between. 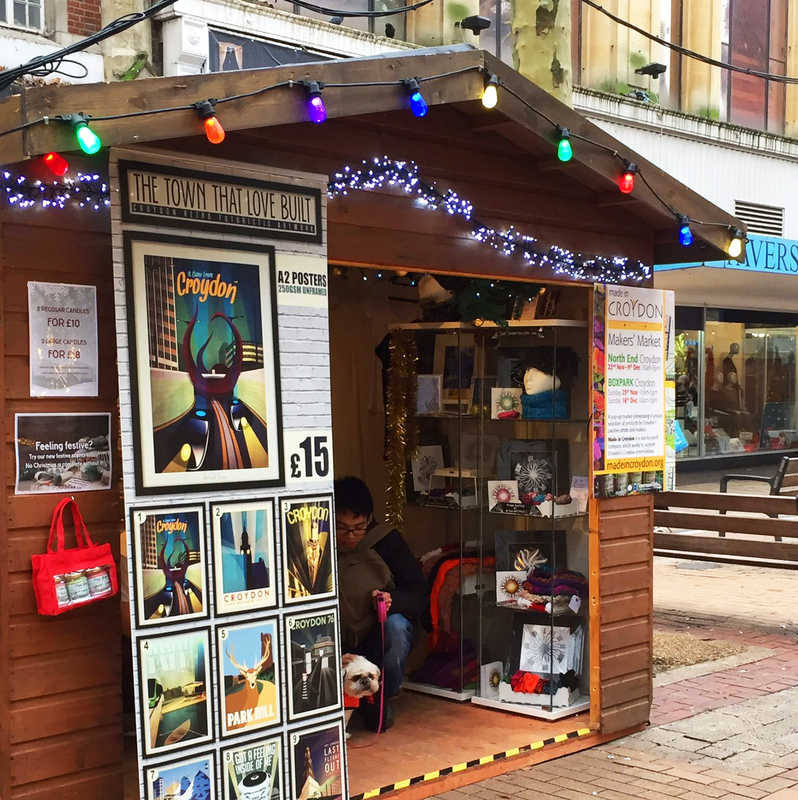 Most recently you may have bumped into a Made in Croydon member at their Makers Markets or in their chalet at the Croydon Christmas Market on North End. We can also thank them for selling a heck of a lot of our charity artist christmas cards on our behalf. 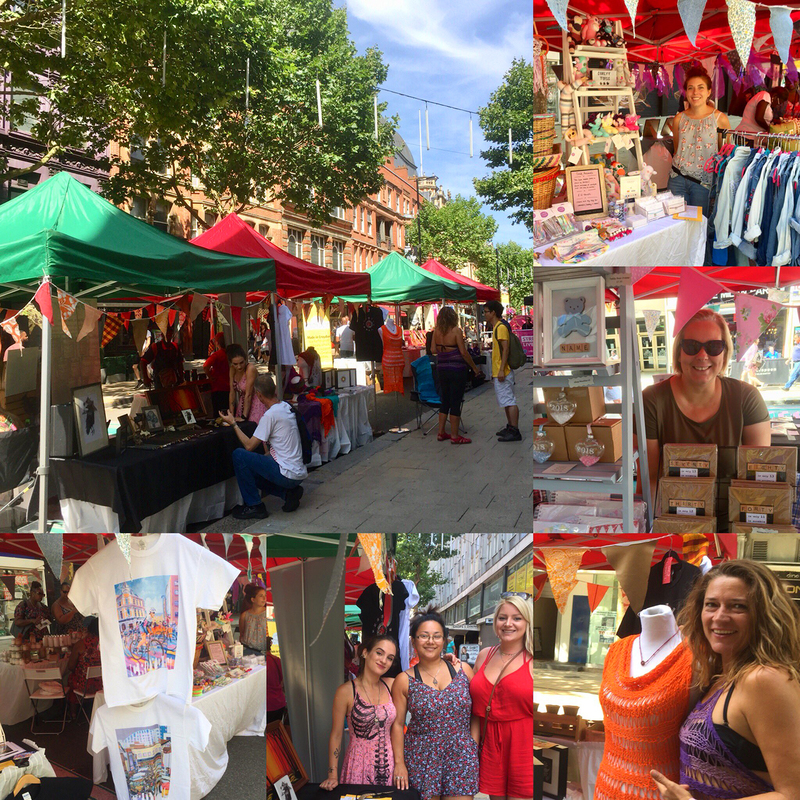 Although we’d been aware of Made in Croydon for a good while we didn’t know much about their story or the people behind it, so we caught up with one of the founders, Josi Kiss to find out more. Croydonist: First of all, are you a Croydon native or convert? Josi: I consider myself a Croydon native, although I was actually born in Beckenham and come from a very mixed European background (my parents were political refugees and moved to the UK in 1956, after the Hungarian Revolution). When I was 18 months old the family moved from Anerley to Purley, where I lived until I was 24. After graduating from university, I left Croydon and was lucky enough to have both lived and travelled the world with my career for over 20 years. I moved back to Croydon in 2002, since then I’ve created my permanent home slap bang in the centre of Croydon. Croydonist: What inspired you and your friends to set up Made in Croydon? Josi: Made in Croydon as a name and as a concept has a long and complicated history. I first heard the name Made in Croydon as the name of Ally McKinlay’s show on Croydon Radio; in the show Ally interviewed people who made things in Croydon. During Ally’s fab Croydon Saffron Central (Saffron farm) project, he and I got talking about the Made in Croydon idea and if it could develop into something more concrete. The ideas blossomed further during my time as part of the Croydon Citizen’s Cake & Coffee competition as we judges noticed that the cafés could benefit their businesses by exhibiting and promoting locally made art and craft. I’m involved in lots of Croydon projects and many others, in Croydon’s various community groups, also expressed to me their frustration that similar ideas had been talked about but never truly got off the starting blocks. I wanted to accept the challenge to bring the Made in Croydon concept to fruition and started writing up a full business plan in 2015. In 2016 I invited some of Croydon’s most experienced and dynamic people to become directors of Made in Croydon. Each one of the five directors lives in Croydon and brings a different element to the project; Bernadette Fallon is a journalist, published author and web content expert. Jack Kew is a key youth worker at Lives Not Knives. Vipul Sangoi is an international graphic designer and photographer. Esther Sutton, a stalwart of Croydon, is a successful businesswoman, publican and Croydon event expert. And of course, my own experiences as a designer and retail expert. To get the project formally running I personally funded an interest free loan to Made in Croydon to pay for our project coordinator Bartholomew Konechni and for the costs of registering a formal not for profit community interest company amongst other things. Croydonist: Can you tell us some more about your background? Josi: My own background in design started when I worked for my mum’s jewellery business. I followed this by doing a Diploma in Art & Design at Epsom School of Art (now Surrey uni) followed by a BA Hons in Jewellery design & business studies at Sir John Cass School of Art (Now part of London Met Uni). Later in my life I was sponsored by my employers to do a post grad in management. I put myself through university by running my own jewellery business. I then worked as a jewellery designer for a company that had many brand names which was an amazing opportunity as I worked on designs for clients as varied as Debenhams and Harrods to Butler & Wilson. It’s now part of Swarovski. I realised that I was OK as a designer but even in the 1980s big companies didn’t pay enough to live in London. I decided to change my career and take my talent for sourcing products and following trends to become a buyer. I worked with homeware and accessories brands and factories doing work on all manner of areas (e.g. jewellery, dinnerware and crystal, glass to toys and handbags etc) all sort of things part from fashion clothing (I’m not a fashion type). I was lucky enough that my career went very, very well and I went from buying to brand manager for various major companies including Avon Cosmetics, House of Fraser and Selfridges, hence my living and working around the world. Croydonist: Since starting Made in Croydon what’s been your most memorable event? Josi: Gosh that’s a very hard choice to make as actually often the most obvious aren’t always your favourite. 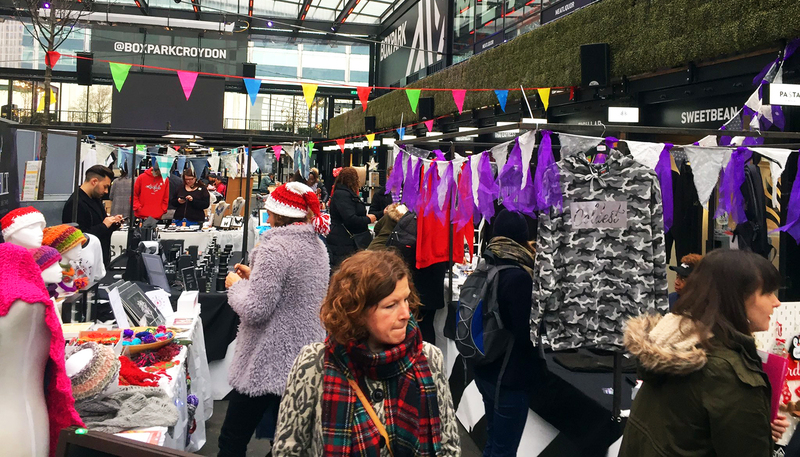 The various Made in Croydon events at Boxpark, which we’ve been doing since 2016, have been very exciting to create and popular with both exhibitors and visitors. Of these the last one we do is always the best on the day, but at the same time they are very stressful. Michael To (our current project coordinator), the directors and I are always dissecting each event, during the event, to see how we can make it even better. I personally really enjoy the Made in Croydon social events, which we try to hold as often as possible. These events are about the people Made in Croydon CIC is there to help, the designers, makers and artists. They normally work alone and these events we give them a forum to network with each other, informally chat and share their knowledge and experiences (there’s been joint projects as a result). We also regularly have speakers at these events to share their news such as what’s happening in Croydon, how to get your work into a gallery, what new studio spaces are being built to name just a few topics. Croydonist: Where in Croydon do you go for inspiration? Josi: I’m the co-chair of Park Hill Park and it’s my go to place to get inspiration. It’s only a five minute walk from Boxpark so it’s also where I take visitors to Croydon to smash the standard view of Croydon being a concrete jungle. Croydonist: Tell us about what you’ve got planned for this year. Josi: 2019 is going to be manic; I only hope I have the energy to complete all the projects!!! • Made in Croydon CIC is about to launch a programme of art, craft and wellbeing workshops with a number of members hosting the classes in venues around Croydon. • I’m in negotiation with Boxpark for a number of dates. 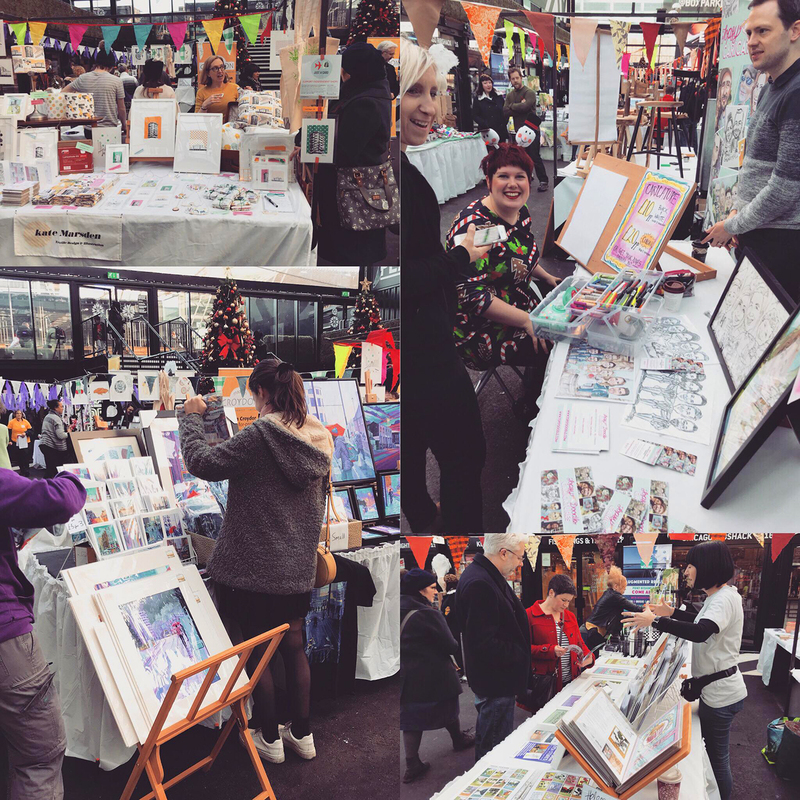 • I have just confirmed with Hoodoos a Made in Croydon Makers Market in a huge marquee at the Summer of Love Festival with an expected attendance of 10,000 people – Eekk!!! I think that’s definitely going to keep Made in Croydon busy this year! Thanks to Josi for chatting to the Croydonist. If you want to find out more about Made in Croydon visit their website or keep up to date on their Twitter, Instagram or Facebook.